"We want this for all Canadians; that's what this should be about for people." Nadine Kays, who worked for four years as a casual letter carrier part-time on the midnight shift before she moved up in the ranks at Canada Post, was talking about the strike action taken by the Canadian Union of Postal Workers (CUPW) early this month. The union's actions—insisting on fair, equitable and living wages for postal workers in Canada—are part of a larger labour movement in Canada. Public criticism directed at the union for its insistence on maintaining a living wage for its workers, she said, is an unfortunate reflection of a society whose expectations as a workforce are too low. "No-one should live paycheck-to-paycheck. 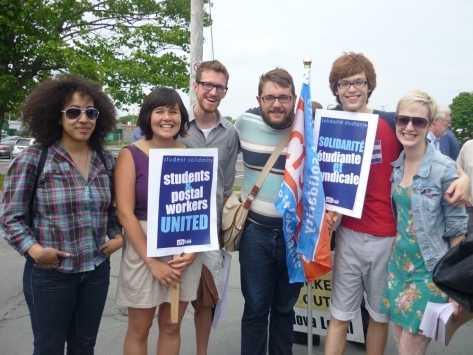 What's wrong with making a living wage coming out of high school or university?" she said. 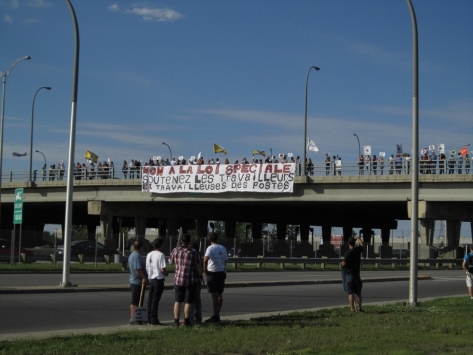 CUPW began a 24-hour strike in Winnipeg on June 3, rotating the strike to other locations. In early June, CUPW National President Denis Lemelin said the union had been trying to get Canada Post to deal with service and health and safety problems for more than three years but management refused. 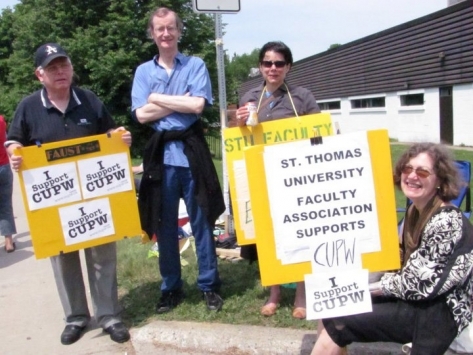 Consequently, the union was forced to bring these issues to the bargaining table. “We have a dangerous workplace that needs to be fixed but Canada Post won’t listen to us,” said Lemelin in a press release. “The strike's purpose is to create leverage in order to encourage Canada Post to abandon its dangerous approach to modernization and their many concessions. The goal is still the same. We want to negotiate solutions [but] we cannot accept unsafe and unfair conditions." 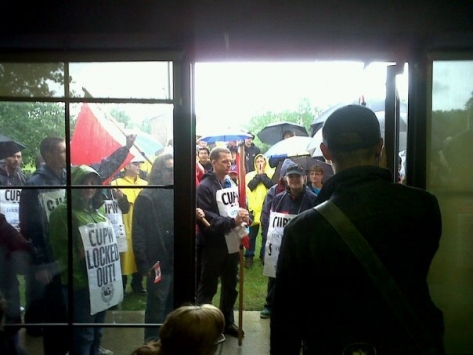 CUPW's attempts to negotiate on the issues of pensions, workplace health and safety and sick leave have been blocked by Canada Post. After eight months in negotiations, Canada Post has made no concessions. 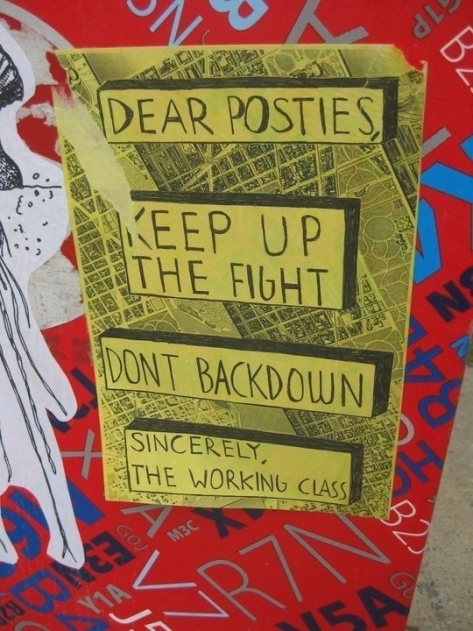 On June 14, Canada Post locked out its nearly 50,000 urban postal operations employees after 12 days of rotating strikes organized by the union. 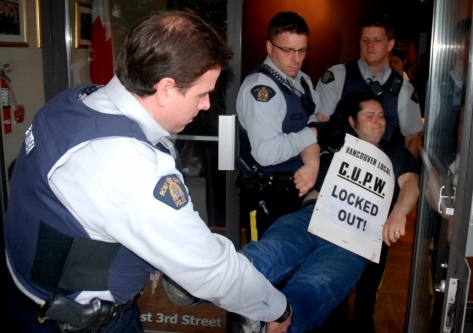 On June 20, Minister of Labour Lisa Raitt introduced back-to-work legislation to force locked-out Canada Post employees back to work. 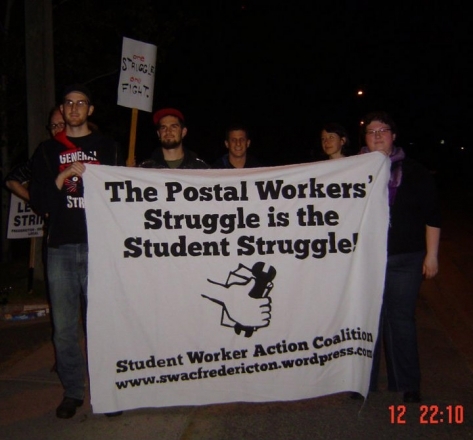 All the while, community rallies, sit-ins, lock-outs and other public support actions have been organized across Canada in solidarity with postal workers' right to collective bargaining. 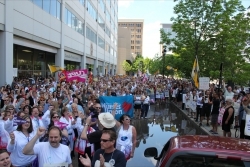 Guy Laflamme of the Canadian Union of Public Employees (CUPE) local 1979 said his union supports CUPW because it has been at the forefront of social justice struggles from maternity leave, to rights for gays and lesbians and rights for immigrant workers. 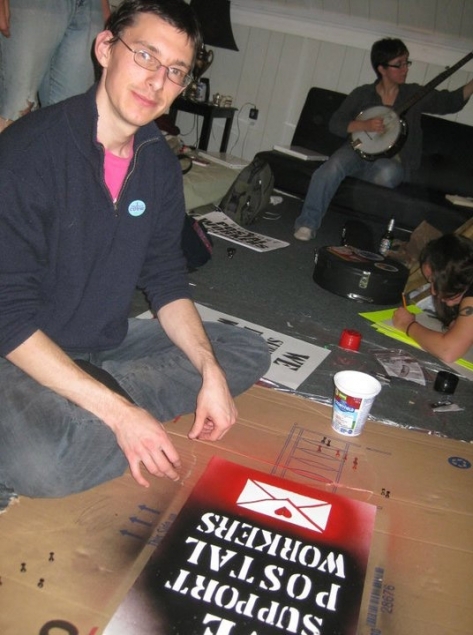 “This is the first big challenge for social and labour movements since the election of the Harper government. I think it is even more important that we be present and show that we will not let ourselves be trampled,” he said. 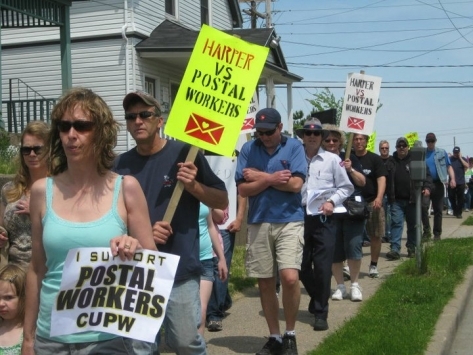 The base of public support across Canada for postal workers' right to strike is wide, as these images show. Canadians across the country stand with postal workers and their union's fundamental right to collectively negotiate the terms and conditions of employment on behalf of its 48,000 postal worker members. The Dominion Editorial Collective, along with several other independent Canadian magazines, responded yesterday to a letter issued by Magazines Canada supporting Minister of Labour Lisa Raitt's introduction of back-to-work legislation. The Dominion is a member publication of Magazines Canada, a distributor of Canadian magazines. For more breaking grassroots coverage of working class issues, visit the Media Co-op. 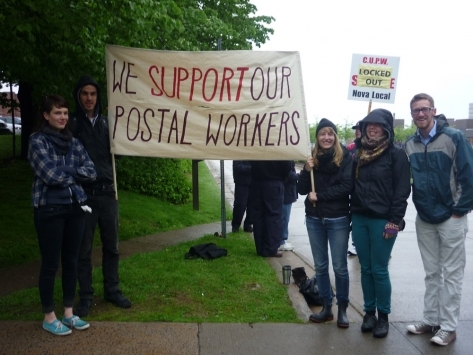 For local coverage of postal workers' resistance to back-to-work legislation and public support for CUPW, visit the Halifax, Montreal, Toronto and Vancouver Media Co-ops, as well as our sister organization, the NB Media Co-op.